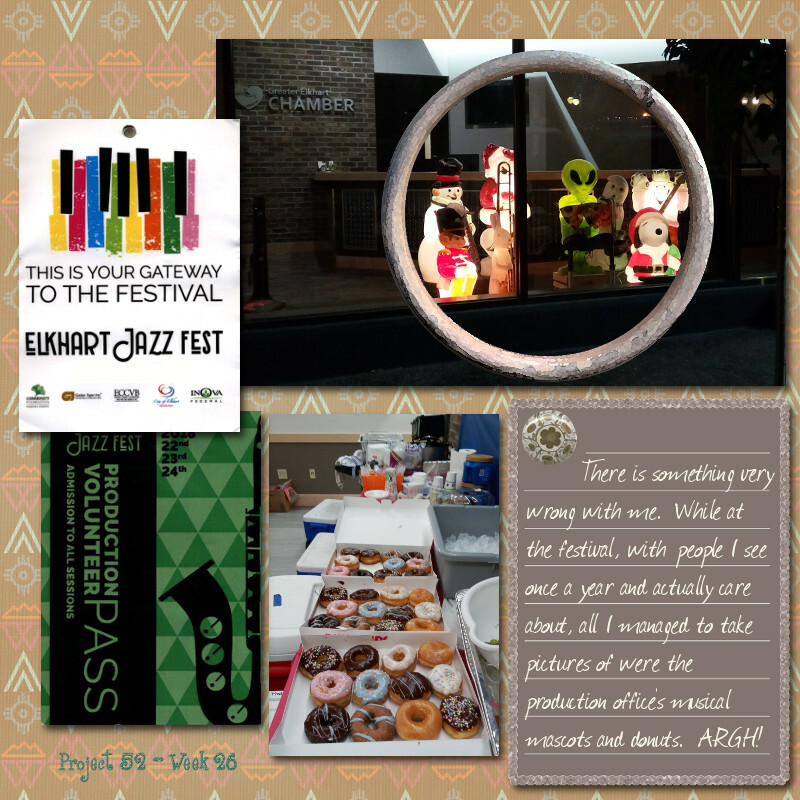 The big event of the week was the Elkhart Jazz Festival. As usual, jebra, mbumby and I went as volunteers. In my case, this meant I hung out all of Friday and Saturday at the Elkhart Columbus Club. On Sunday I spent the morning at New Life Community Church because of the Cole Porter thing on the schedule and then stuck around to hear Dave Bennett. "A Cole Porter Musical Comedy Tour of Paris"
With one exception, all were really, really good. Kyle Megna & the Monsoons would have been better if they weren't over-amplified. They were so loud the lyrics were distorted and their performance was painfully loud. The musician who made the greatest impression on me was Tom Rigney. He was a joy to watch and good heavens can that man fiddle. We left Elkhart in the middle of the afternoon on Sunday and were back at our house around 11 pm. I was up too late exercising, survived work on Monday and barely made it through an hour on my exercise bike after work. First time I've nearly fallen asleep while sitting upon it. Work on Tuesday wasn't bad (and I actually finished a project I've been trying to complete for the past month). Once home I finished sorting through my photographs and am now shockingly up-to-date. Two days ago I still had photos from 2016 that weren't culled or put into galleries. I went to bed around one in the morning but after two hours of laying there decided I might as well get up and run backups. In effect I was up until 4:30 this morning and feel correspondingly terrible now. Not helping matters is my unhappiness over what is happening in Washington and the emboldened racism I see on facebook, twitter, and in the news. Do not like. This entry was originally posted at https://mrs-sweetpeach.dreamwidth.org/973901.html. I recognize some of those names, but other than the last 3, I'm not sure I saw any. But -- I did get to see the Preservation Hall Jazz Band, which is good for a LOT.